We started the session heading through all the tall trees and beautiful greenery. We made our way down by the water and did a couple of fun beach pics. I just love all the colors of the trees in the background, and totally miss those right now (anyone else!?). We did a quick little outfit change and ended the session with some more bright colored trees! Adam & Tori met back in college and have been together for about 5 years now! They love spending time with their kitties and catching dinner at Cooper’s Hawk (which I also LOVE). Adam proposed when they were at the Grand Canyon and Tori thought it might have been happening and was taking nervous blurry photos as Adam was fumbling around in his background for something. 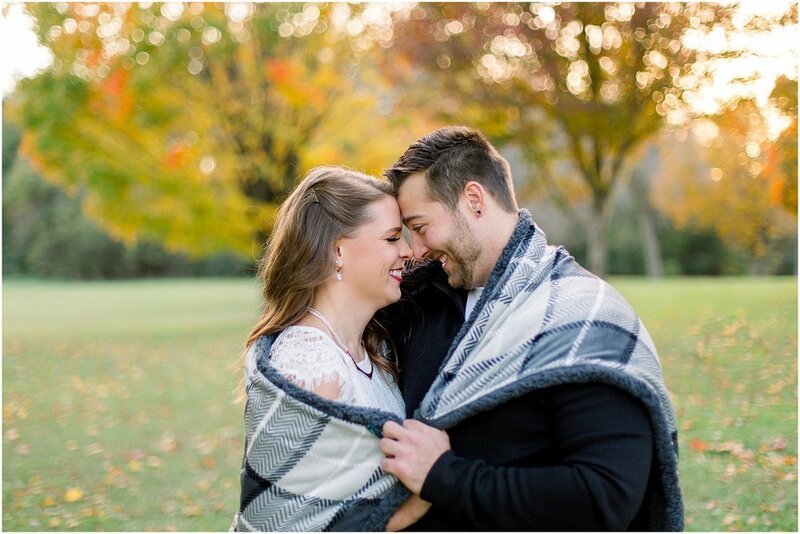 They can’t wait for the wedding planning to be over and to enjoy their day with their family and friends! 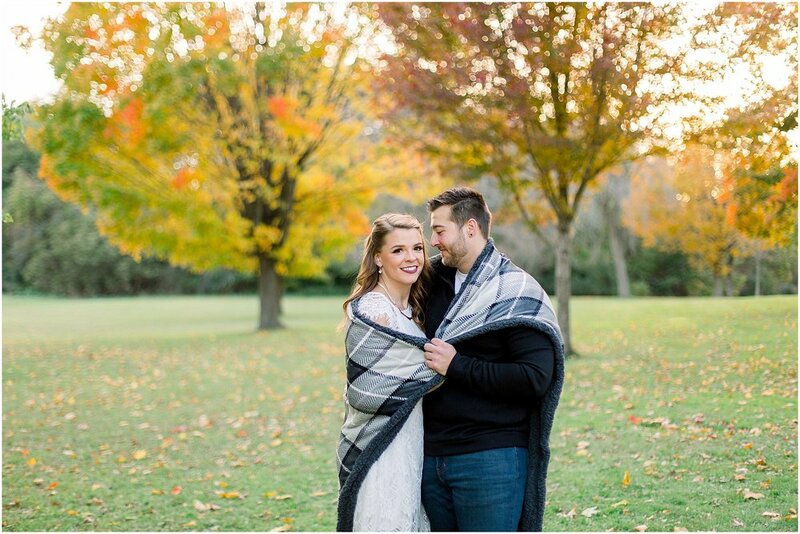 I can’t wait to photograph their wedding next September at Stein Farms!